The Melbourne International Film Festival (MIFF) is a foreign language art house film festival. In a world of Netflix, iPads and superhero Hollywood blockbusters, our task was to raise awareness and attract audiences to films they’ve never heard of, starring actors they don’t know, in languages they don’t understand. We all feel the same basic emotions: fear, anger, surprise, disgust, sadness and happiness. And no matter where you are from you don’t just see a film, you feel it. So using data collected from film critics, the human face as a display, an innovative use of technology, live experiences, we created movie trailers that spoke every language. The Emotional Trailer. 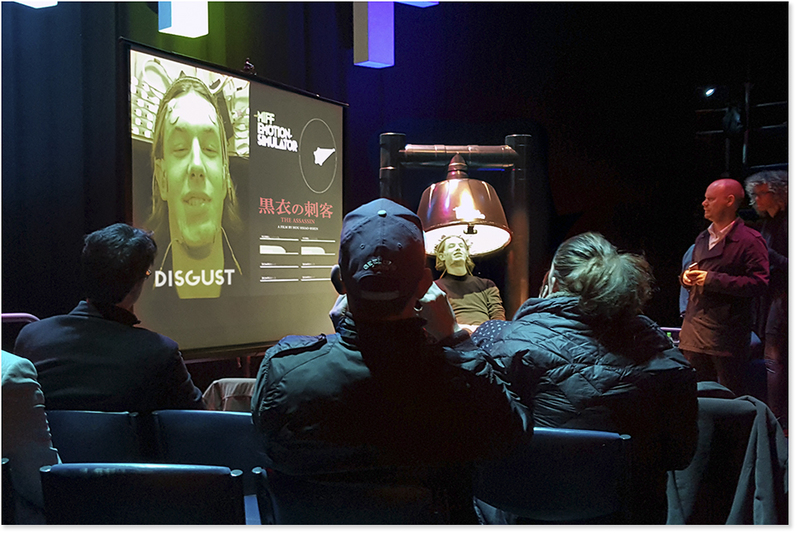 To do this we first held special preview screenings with prominent movie critics to capture the 6 key human emotions of fear, anger, surprise, disgust, sadness and happiness for every film at the festival via our custom mobile app and biometric sensors. This data created an Emotional Script condensing an entire 2 hour film into under one minute. The data was then fed via electric stimulation into the facial muscles of willing participants to act out the emotional arc of an entire film, using the human face as a live display. 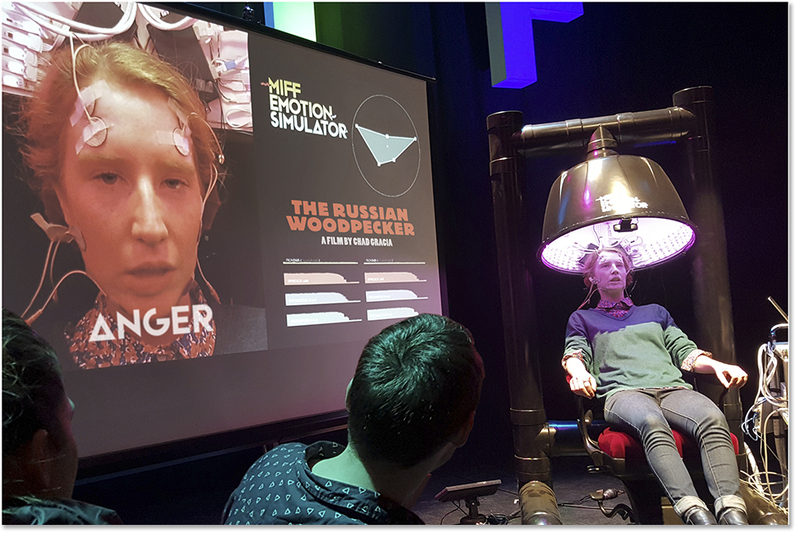 Before each film at the festival, audiences also experienced the Emotional Scripts in a custom-built movie chair we called the Emotional Simulator. The simulator sessions sold out within two days. All these experiences were filmed, and created Emotional Trailers for every film at the festival. Trailers that the audience in the cinema, watching the live stream, or seeing on social media, could book tickets directly from. The highest ever ticket sales results in MIFF’s history. The Emotional Trailers drove an 800% increase in social shares. Tickets to preview films sold out within two days. 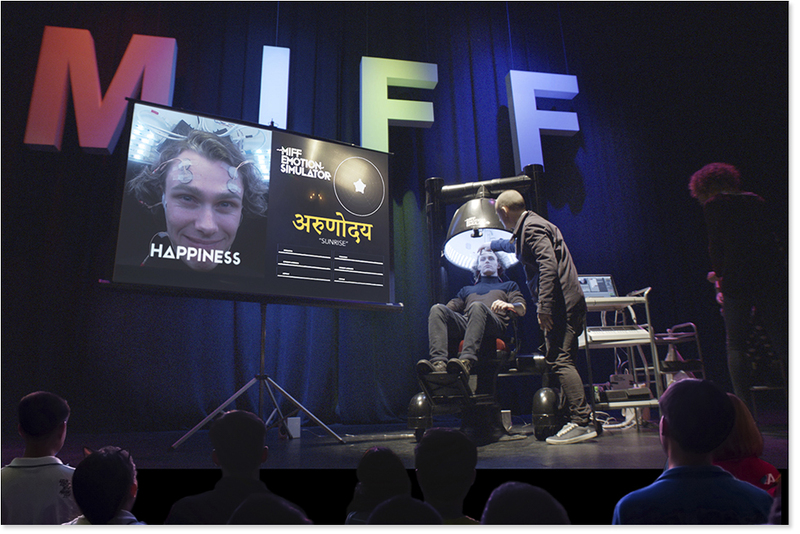 The excitement around the Emotional Simulator and Emotional Trailers drove the following festival records: the biggest ticket sales in MIFF’s 65 year history, $30,165,012 in earned media, number 1 attraction at the festival, 14 million people reached and a 40% Increase in mobile traffic to website. March 14, 2019 | Filed under Folio and tagged with Pat Baron, Pat Baron Cannes, Pat Baron Cannes The Melbourne International Film Festival, Pat Baron McCann.